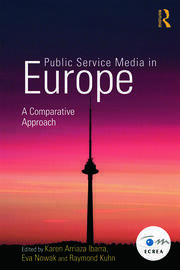 In honor of the European Communication Research and Education Association (ECREA) Conference, we are making select chapter of titles in the series available for FREE! 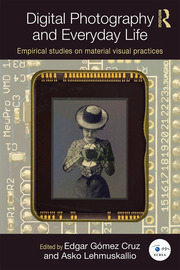 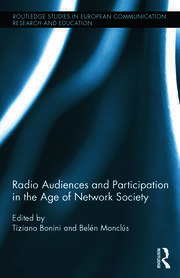 Read Chapter 11: "Photographic Places and Digital Wayfaring: conceptualizing relationships between cameras, connectivities and transformed localities"
Read Chapter 15: "The camera as a sensor among many: The visualization of everyday digital photography as simulative, heuristic and layered pictures"
Read Chapter 4: "Problems and Solutions for Public Service Broadcasting: Reflections on a 56 country study"
Read Chapter 9: "Autonomy and Regulatory Frameworks of Public Service Media: Diverging Scenarios in a Europe of Different Levels"
Read Section III: "The WIME Study: Context, Methods and Summary of Findings"
"What Media Crisis? 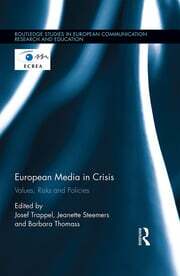 Normative Starting Points"
"Can Civil Society Mitigate Consequences of Crises?" "Towards a Specific Theory of Interactive Digital Narrative"
"Learning through Interactive Digital Narratives"